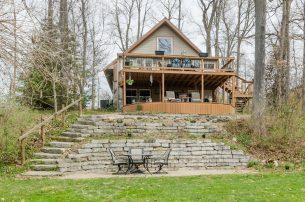 Updated 3BR/3BA waterfront lake cottage on a quiet CDS. 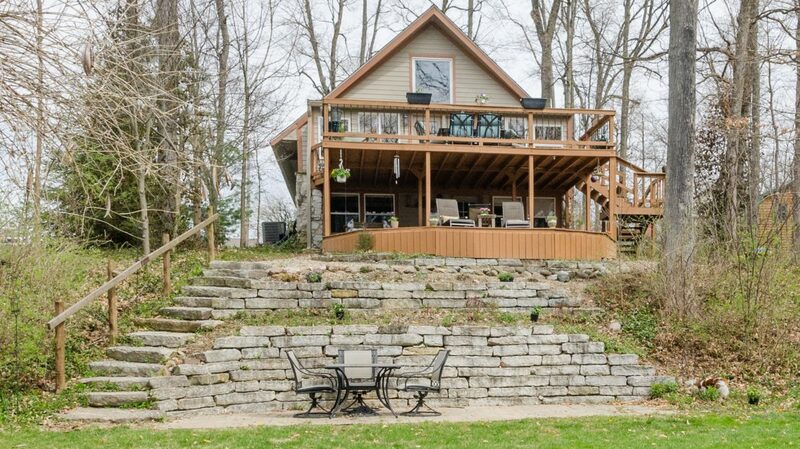 This home is on a cove & features many updates but maintains the rustic, lake cottage feel. GR w/wood burning frplc, beautiful sunrm that opens to the upper deck, updtd kit w/hickory cabinets & all applcs included. Nice sized mstr ste on the main level with full bath. Additional full bath on main level. Upper level includes two bedrooms, full bth, loft area & storage space. Lower lvl W/O bsmt is great for storing your boat toys and/or outdoor patio furniture in the winter. Multiple entertaining spaces, with upper & lower decks, water side deck & 2 car garage that doubles as addt’l entertaining space. Close to the clubhouse. Short boat ride from cove to main body of the lake. What’s there to do in Indy?